For exceptional reliability and performance in consumer and commercial desktop NAS systems, choose the Deskstar® NAS 7200 RPM HDD. This drive transfers data 20% faster than 5400 RPM drives, with seek times less than 12ms. The innovative rotational vibration sensor anticipates disturbances and counteracts them in multi-drive environments-maintaining high input/output performance. 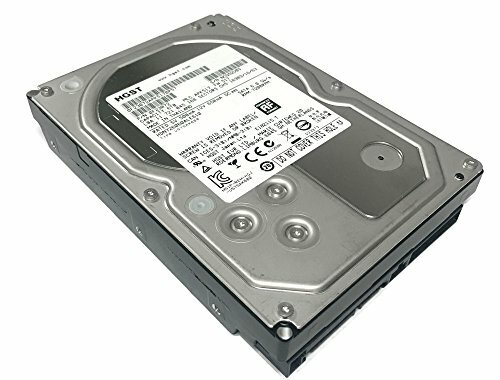 HGST Deskstar NAS 7K4000 HDN726060ALE610 6TB hard drive delivers a colossal two terabytes of storage capacity and 7200 RPM, 64MB Cache, SATA 6.0Gb/s performance in a standard 3.5-inch form factor. Now in its five-generation, the 7K4000 is based on a robust mechanical design that continues to set the industry standard for quality and reliability. Through a patented ramp load/unload design, data heads are moved to a ramp away from the disk where they rest during periods of inactivity. This greatly minimizes the risk of shock damage by eliminating direct contact between the heads and disks, reducing wear and heat while improving overall drive reliability and power efficiency. The Deskstar 7K4000 also incorporates thermal fly-height control (TFC) technology which uses an integrated heating element to precisely maintain a constant fly-height throughout read and write operations to enhance overall data integrity, drive performance and reliability.